Heavy rain flooded a gorge filled with hikers Monday in the southern region of Calabria, killing at least eight, Italy's civil protection agency said. At least another five were missing. The prefect's office said 23 people were rescued from the flash flood in the Raganello Gorge. They included a 10-year-old boy treated for hypothermia who was among seven that the civil protection agency said were hospitalized. It was unclear how many people were missing but there were at least 36 hikers in two organized groups inside the 12-kilometer- (7½-mile-) long gorge, a popular aquatic trekking spot. TV images show rescuers scaling down the side of a steep rock face to bring hikers to safety. [post_ads]Guides are not required, making it impossible to know how many people were on their own inside the canyon. At its most narrow point, it is just meters (yards) wide and with walls varying from 400 meters (1,300 feet) to 700 meters (2,300 feet) in height. 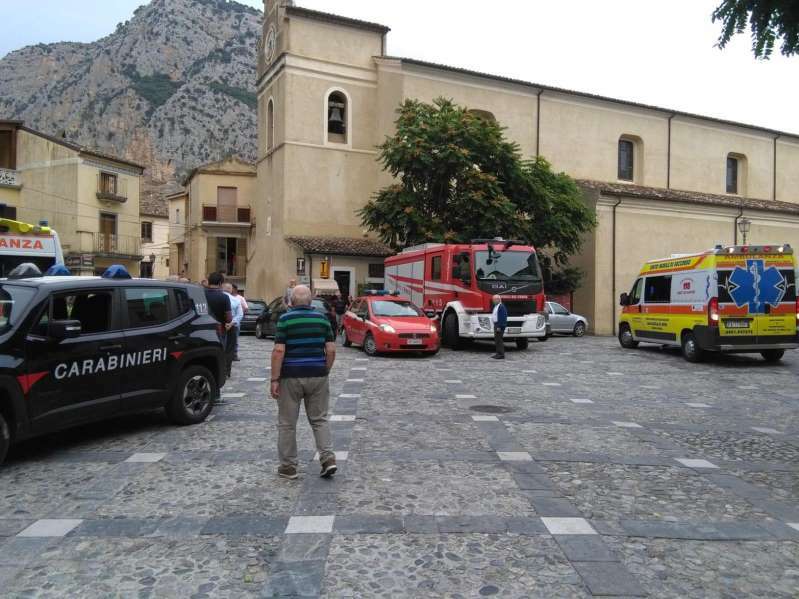 Luca Franzese, of the alpine rescue squad in Calabria, said the height of the flood waters was some 2½ meters (eight feet) deep. "The wave of flooding of the Raganello stream happens often in the winter, but it has never happened in the summer, when the stream is very popular among tourists," Franzese told the news agency ANSA. The gorge on the eastern side of the Pollino National Park boasts aquatic trekking along the stream that cuts through the massive rock, where hikers pass by water falls, water tubs and natural slipways, according to a website. The gorge is broken down into three sections, the upper, mid and lower canyons, with hikes averaging between 2½ and 3½ hours and varying in difficult.